The 2019 racing season for the Historic Sports Car Club will get off to a flying start at Donington Park on Saturday (March 30) with a fine entry of 215 cars for an eight-race programme. The one-day meeting at the superb East Midlands track heralds the start of the racing year. The 70s Road Sports counter features a 30 car grid. 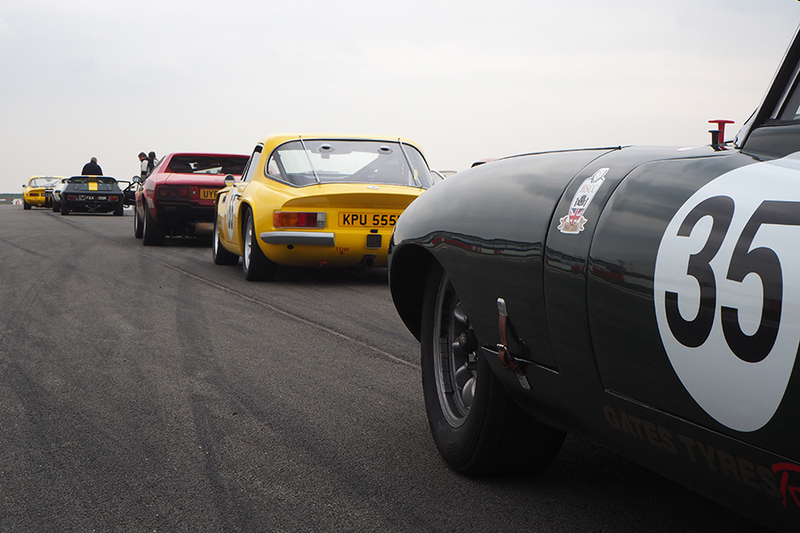 Reigning champion Jeremy Clark returns with his Lotus Elan to take on the challenge of former champion Charles Barter (Datsun 240Z), John Williams (Porsche 911SC), John Dickson (Ferrari 308GTB) and father and son Mark and Will Leverett (Lotus Elan and Europa). There will be plenty of action and variety further down the grid with the Alfa Romeo GTV’s of Jon Wagstaff, Dave Erwin and Simon Holmesmith, taking on the Porsche 924 of Will Morton the Triumph GT6 of Martin Dyson, Sarah Hutchinson’s Lancia Beta and Neil Brown’s Lotus Eclat.